The Nexus S may be six months old now, which is a lot in this industry, but Google hasn’t forgotten about it yet. So to keep the interest alive in the device Google has come up with a nifty little game on YouTube called Nexus Contraptions. 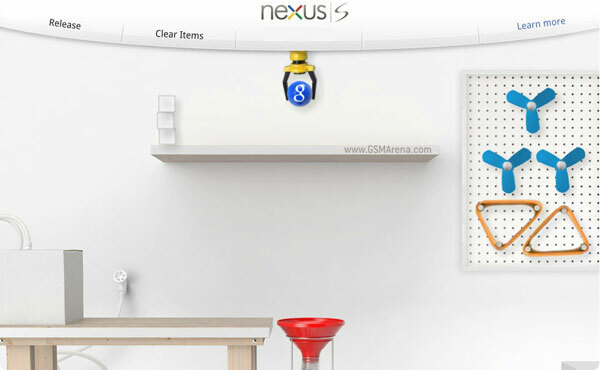 The game involves playing with four of the default Google apps on the Nexus S that are essentially metal balls, that you have to guide through using various contraptions to a funnel at the end so they can be put on the phone. You have multiple levels for each app and if you complete the game you would have successfully wasted about half an hour of your life. But since the game is a bit fun we’ll let this slide. In fact you would have been reading this article a lot sooner had I not wasted so much time playing it. In the end though, I doubt this game would convince anyone to stop thinking of that Galaxy S II and get a Nexus S instead. But it’s a fun way to waste time and will work on any desktop browser with Flash plugin installed. Click on the source link to start playing.